A Lonely Place to Die was one of my picks for Toronto After Dark 2011. Why? Glowingly positive reviews across the board (as far as I’ve seen), a beautiful filming location, and purportedly non-stop thrills. I was disappointed to overhear a couple of conversations from people who were not as excited as I was for this one. The first was in line earlier in the week, when a woman was advising her friend not to see this film as the main character spends two hours hanging from the side of a mountain. After watching the film, I can say that she obtained this synopsis of Open Water-on-a-mountain from the recesses of her own imagination. The film is nothing like what she described. The second conversation took place after the film. A man was telling his friend that he heard the movie was supposed to be thrilling, but he wasn’t very impressed. I have some questions for this viewer. Were you facing towards or away from the screen? Were you wearing a sensory deprivation helmet during the movie? The film had a good turn out, but as far as I could tell, it was not a sell out. It should have been. 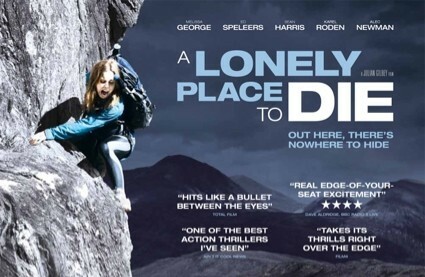 A Lonely Place to Die is a beautifully shot and carefully scripted taut thriller that delivers in spades. The short before the feature was Jules Saulnier’s The Incident. Too often some writers and filmmakers think that if something is wacky or ridiculous, then it must be funny. However, the right amount of wacky is a very difficult thing to nail down. The Incident delivers just the right dose of ridiculous dialogue and awkward interactions between characters. The short is about The Agent, a man who is captive in a foreign city and must overcome several obstacles in his path in order to save the world. A funny and charismatic performance by lead actor Manuel Sinor cements this one as a real winner. Back to A Lonely Place to Die. The story follows a group of friends who meet up at a cabin in the quiet Scottish Highlands, before setting out on a mountain climbing adventure. An initial climbing scare has a couple of the friends a little nervous, but the group is largely undeterred, that is until they hear the voice of a small child emitting from a metal breathing tube that is protruding out of the isolated forest ground. The climbers free a young girl from this man-made burial chamber, unfortunately she cannot speak or understand a word of English. She is clearly the victim of an unconscionable act committed by dangerous people, and in dire need of help. The climber’s decide to take the girl to the closest police station, however do to their location, the trek will be anything but easy. Unbeknownst to the heroes, the perpetrators of the kidnapping are close on their heels. A cat and mouse game ensues as the climbers try to reach the authorities, while the kidnappers try and reclaim their prize. A Lonely Place to Die is an absolutely gorgeous film. Mountain vistas and lush forests make up the majority of the setting, while helicopter shots and the rest of the cinematography effectively communicate the always present danger of such an isolated and unforgiving environment. Action films are often completely forgettable because of the bland environments of cities, warehouses, banks, etc. This is not the case with A Lonely Place, as the Gilbey brothers (Julian directs, writes, and edits, while Will writes, edits, and directs the second unit) have given viewers some incredibly fresh visuals, in the form of the Scottish Highlands. Julian expertly directs the action on screen. Clever cinematography leading up to climatic moments often hints at possible danger, but that nature of the danger is not evident until it is too late. Viewers will never feel like any of the characters are safe from the kidnappers. Julian also gets some excellent performances from his cast, particularly Melissa George as Alison and Ed Speleers as Ed, who are an ease to become attached to and cheer for. Also of note is the performance turned in by Sean Harris as the lead villain. Harris is creepy, callous, and at times doesn’t seem fully human. The script by Gilbey brothers deserves just as much attention as Julian’s direction. The script is perfectly paced, the decisions made by the characters seem natural, and the action does not require the viewer to suspend their disbelief to enjoy the film (often a necessity in the action genre). My only criticism of the writing is a bit of unnecessary dialogue in which Alison states what she is thinking, for the benefit of the audience. This line reminded me that I was watching a movie and took me out of the action for a moment. However, this is only a minor complaint. The TAD team programmed a thrilling experience with A Lonely Place to Die. Fast-paced action, adrenaline pumping thrills, and some unsettling horror elements make this film a pleasure to watch. With the right marketing I expect a lot of success for this one. I also hope we see more from the Gilbey brothers soon enough. Remember that guy in high school who would always sit in the tech hall and play Magic cards? And then there were the jocks who would sit on the bench all day and gawk at all the girls who walked by. Finally, there was that guy who killed people, remember him? Good times. Alright, maybe I don’t remember that last guy, but he could have existed. Hell, he could even still be up to his favourite pastime, all it would take is a clever daytime gig, perhaps as an ice cream store employee. Going into Sunday afternoon, I had already seen numerous highly entertaining films at the Toronto After Dark Film Festival, however the high octane racing anime Redline was head and shoulders above the competition. It was just that good. 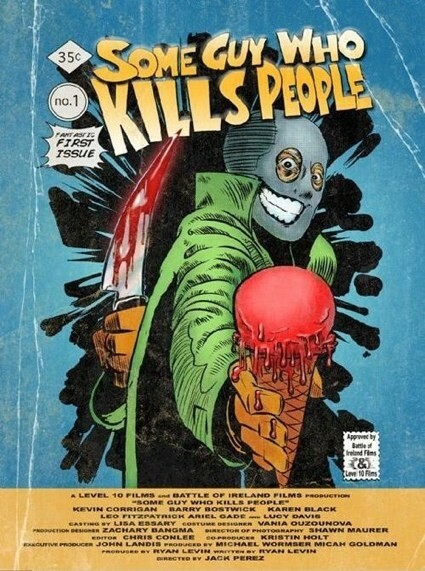 Well, the competition has arrived in the form of the black comedy Some Guy Who Kills People. Some Guy is everything you could want in a horror\comedy. Razor sharp dialogue, impeccable characters and acting, some seriously gory kill scenes, but most importantly one of the funniest scripts of the past five years or so. Some Guy was preceded by the short film and tongue twister Anamnesis, directed by Damian Weston for a 48-hour short film competition. Anamnesis has some scary and interesting elements, but I really wish that I could see it again, as I feel like a missed some of the narrative. The film is a great accomplishment considering it was made it two days. The film follows a man named Ken Boyd (Kevin Corrigan from Pineapple Express and Fringe) who has recently been released from a mental institution. Boyd now lives with his mother (Karen Black) and works at a local ice cream parlour – somewhat demeaning for a thirty-something year-old man. One day Boyd decides that it is time to pay back the high school bullies who basically landed him in the nut house. One by one the mutilated corpses of the bullies began to turn up in a horrific series of murders, with only the bumbling local sheriff (Barry Bostwick) available to solve the crimes. There are so many positives about Some Guy, that I don’t even know were to begin. The film should rocket director Jack Perez and writer Ryan A. Levin out of relative obscurity. Perez has been directing small time movies like Mega Shark vs Giant Octopus and Wild Things 2, while Levin has been writing TV episodes and short films. Some Guy makes it clear just how talented these two individuals are, particularly Levin, who has turned out an absolute riot of script. Black comedies are very often chuckling and smirking affairs, rather than laugh out loud occasions. This is not the case with Some Guy. Witty writing and incredible acting take this comedy to the next level. Kevin Corrigan’s portrayal of the soft spoken and secretive Ken Boyd is often funny, cute, and endearing. The role could have been seriously in danger of becoming vapid or annoying in the hands of a less talented actor. Despite the strong performance turned in by Corrigan, Some Guy is straight up hijacked by Barry Bostwick and Karen Black. Bostwick’s role as the wacky Sheriff is pure comedic genius and is without a doubt award worthy. I’m not sure about the rest of the audience, but I was always anxious for him to come back on screen, just so I could see what he would get up to next. Karen Black is not far behind Bostwick in terms of comedic talent. Throughout the film, Black rips on Boyd with some of the most hilariously insensitive quips. Go see Some Guy, I guarantee you will like it. If you don’t, I know of this great ice cream parlour where you can go whine about my review. Just make sure to tell Ken Boyd that you didn’t like his movie. Lastly, when can I go see Some Guy in theatres again? When can I buy the DVD? Will Levin come over to my apartment for beers if I invite him? I need answers dammit! Coming out of Redline I felt like I had potentially seen my ‘best of the fest’ at Toronto After Dark. I watch movies to be entertained, but ultimately I am seeking out those experiences that are unlike any other. The experiences in which I find myself looking around as the credits roll and remember, ‘right, I’m in a movie theatre’. Redline is an engrossing adrenaline rush that refuses to let up for 102 minutes. Before Redline were a couple of interesting shorts, Paso Doble and Lost for Words. Paso Doble was a beautiful animated feature depicting a showdown between a bull and a dancer with an impossibly long red dress. Lost for Words was about a young boy who has run away from home and is now lost in a strange world, complete with bizarre creatures and single words scattered all over the ground. Both shorts were entertaining, looked great, and were nice changes of pace from the typically darker fare that the Toronto After Dark audience is already very familiar with. The story is simple, intergalactic racing championship Redline is hottest sporting event in the galaxy. Every five years the best drivers from a variety of alien races assemble for one of the fastest and most dangerous races conceivable. There are no rules in Redline, drivers equip their rides with arsenals of weaponry in the hopes of edging out or blowing up their competition. For some reason human driver ‘Sweet JP’ drives a weaponless Trans Am, making his name quite fitting given the maniacal blood lust of the other competitors. Will JP be able to win Redline with such a glaring handicap? Maybe a few extra nitro boosts can level out the playing field. Before even watching Redline I had a feeling that I was about to witness something special, mainly due to the two men attached to the film, writer Katsuhito Ishii and director Takeshi Koike. Last month at the Toronto International Film Festival (TIFF) I saw a strange film called Smuggler (Sumagurâ: Omae no mirai o erabe), which turned out to be one of the most difficult reviews I’ve had to write. Director Katsuhito Ishii put some of the strangest characters and imagery onscreen. His talent was undeniable, however, I felt like I was unable to fully appreciate Smuggler, the zaniness was a bit too much. Much further back in time, about 16 years ago, when North Americans still referred to animation out of Japan as ‘Japanimation’, I was absolutely astounded by two VHS rentals that my high school friends and I stumbled upon, Wicked City and Ninja Scroll. These two films are classics depicting the mature content that anime is capable of, and have opened up the world of animation to countless adults and teenagers. Takeshi Koike was the lead animator on each project. The collaboration of Katsuhito Ishii and Takeshi Koike on Redline has proved to be a hugely successful and complimentary one. The imagination of Katsuhito Ishii is evident in the bizarre cast of characters, the hilariously neurotic inhabitants of Roboworld (where the Redline race is being held), and the clever exchanges between bumbling Roboworld military officials. On the other hand, Takeshi Koike injects the film with completely over-the-top action, excitement and thrills. The opening sequence in Redline is from a qualifying race called the Yellowline. The music is hypnotic, the fluidity of the animation is gorgeous, and the growl of the engines is deafening. When JP drops that first nitro capsule, I promise that most viewers will have grins beginning to grow, completely out of their control. I don’t even like cars, let alone racing, but Redline appealed to my inner speed junkie, who got some much needed catharsis. Redline has easily garnered the Entertainment Maven Seal of Approval, and at that time on Saturday night it was easily my ‘best of the fest’ at Toronto After Dark (it has some competition now, more on that on a later post). I urge anyone with an interest in action or animation to go see this remarkable movie. 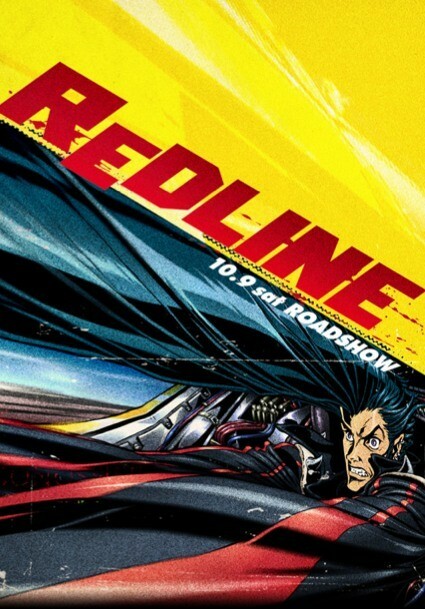 With the DVD\Blu-ray release around the corner, it may be difficult to find a theatre playing Redline. In this case, make sure that you watch it on the biggest TV you can find, and crank the volume. This one wouldn’t be the same on a 32-inch TV, late at night while everyone is sleeping. Congratulations to the TAD team for programming their first anime feature, and such a remarkable one at that. Play Dead was the short that preceded DeadHeads and was the first film I have seen to tackle the zombie\pet adventure genre. Directors Andres & Diego Meza-Valdes introduce us to a familiar story, zombies are quickly taking over the city, however the heroes of the film are a group of dogs. The dogs band together into a team that is bizarrely reminiscent of Homeward Bound. The furry group avoids danger at every turn in an attempt to make it to the Dog Bar, the only safe-haven left in the city. Will they reach doggie paradise or does a terrifying reality await them? Funny and cute, Play Dead is certainly entertaining. Last night at Toronto After Dark, the zombies were out in hordes. Some zombies were clearly bite victims, some the result of evil experiments, and others were nothing short of maimed cadavers that were inexplicably still capable of locomotion. If you are confused or worried, don’t be, these weren’t real undead, rather participants of the Toronto Zombie Walk and recipients of Toronto After Dark’s undead friendly ticket price breaks (only on zombie appreciation night). I think I even saw zombie Colonel Sanders with a severed hand in a cardboard bucket normally reserved for his delicious chicken. Most of the crowd was in attendance for a zombie double bill, the comedic DeadHeads followed by the WWII action themed War of the Dead. Zombie movies are in serious danger of becoming overdone. I’m sure there are vehement fans on both sides of the debate, some who would argue that they have been played out for a few years now, and others who would argue that zombies are the backbone of the horror genre and will never become tiring. 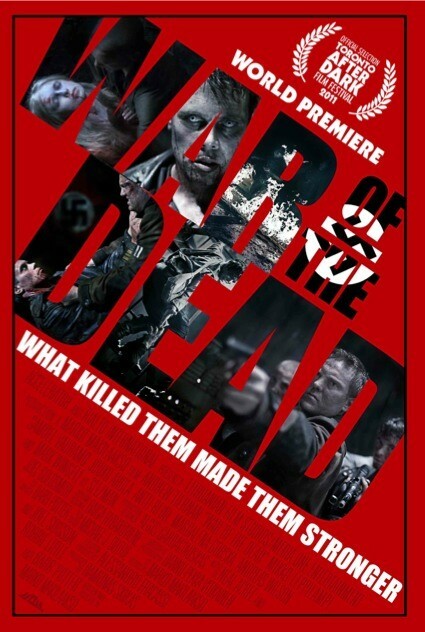 In my opinion, filmmakers need to be very careful to put an interesting spin on current zombie movies, unoriginality and mediocrity will most likely not result in a winner at the box office or on the DVD\Blu-Ray market. Fortunately, the Pierce brothers have breathed some new life into the the zombie genre with a buddy, road-trip comedy, from the perspective of the zombies. Say what? 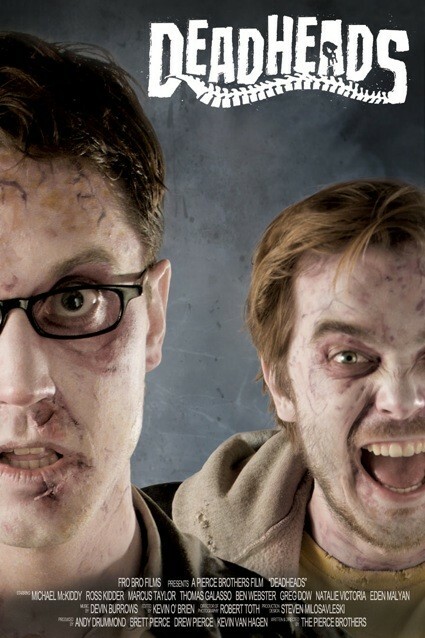 DeadHeads is about two newly acquainted members of the undead, Mike (Michael McKiddy) and Brent (Ross Kidder), who for some reason are not as stiff and mindless as the other zombies that have recently appeared in their hometown. Brent seems accustomed to the undead gig and tries to break the reluctant Mike in. The new friends are completely safe from their brain hungry cohorts, but the living prove to be quite dangerous. Over time Mike’s hazy memories come back to him piece by piece and the friends set out on a road trip to find Mike’s past girlfriend, his only reason to go on living, if you can call it that. DeadHeads is a very entertaining adventure\comedy. The Pierce brothers have done a remarkable job emulating the charm of a Joe Dante film, like Gremlins or The Burbs (one of my personal under-appreciated favourites), while still managing to create something that feels original. Michael McKiddy does a great job as a main character that the audience will truly feel for, however, Ross Kidder really steals the show as a quick-witted and cooler version of Shaggy (Scooby-Doo). A particular gag in the woods, when nature calls for Kidder, was an absolute riot. The laughs may not come a mile-a-minute, and many of them are not of the side-splitting variety, but they are appropriate for a comforting and feel-good movie like DeadHeads. Horror comedies are one of the toughest genres to pull off, but the Pierce brothers have done it. Check this one out if you are in the mood for the less serious and lighter side of the undead world.